Periodontal or “Gum” disease is an infection of the gums surrounding your teeth. Gum disease is one of the top reasons for tooth loss in adults, and because it is often pain free, many patients do not know they have it. Warning signs of Gum disease include bleeding, red and inflamed gums, persistent bad breath, and loose or separating teeth. Treatment includes surgical and nonsurgical procedures to restore periodontal health and help prevent tooth loss. Dental implants are used to replace missing teeth and roots. Implants are small titanium posts that are surgically placed into the jawbone where the teeth are missing. The bone bonds with the titanium, acting as a tooth root substitute. Posts are attached to the implant allowing for dental prosthetic attachments. Commonly used to expose more tooth structure. Crown lengthening involves the removal of gum tissue and/or bone to expose more of a tooth’s structure. Crown lengthening provides restorative access for your dentist to make a healthy long lasting crown. A surgical procedure used to smooth and reshape affected bone under the gum tissue. This procedure is performed when a pocket around a tooth (or teeth) has not responded to other treatments. It creates a shallow pocket making it difficult for bacteria to survive and damage bone, resulting in bone loss and ultimately, tooth loss. A periodontal surgical procedure that regenerates jaw bone and surrounding tissue. This procedure is often performed to protect your existing teeth and the tissues that keep them in place from bacterial plaque. The gingival tissue is folded back to remove the disease-causing bacteria. Membranes, bone grafts or tissue-stimulating proteins can be used to encourage the body’s natural ability to regenerate bone and tissue. Involves placing a regenerative bone grafting material into empty tooth sockets to rebuild bone where an extraction has left an empty, weakened area. This process encourages your body’s natural capacity to regenerate bone. 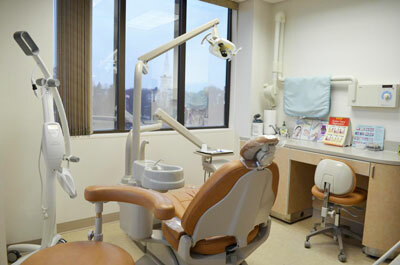 Is a non-surgical procedure used to treat gum disease. During the scaling process, specialized dental instruments are used to remove dental plaque and calculus from beneath the gums. Planing is the procedure used to smooth the tooth’s root after the scaling process. Root planing helps the gums heal and reattach themselves to a cleaner and smoother root surface. A sinus lift is a surgery that adds bone to your upper jaw in the premolar and molar areas of your mouth . To add bone, an incision is made where the premolar and molar teeth were previously. Once the bone is exposed, a small circular shape is made in the bone to access the sinus. Once the sinus is accessed, the sinus membrane is gently pushed up and away from the upper jaw. Once this is done, bone graft material is filled into the space where the sinus was previously. Once the bone is in place, the incision is closed and the healing process begins. Periodontal maintenance is a deeper than normal cleaning procedure performed to thoroughly clean the teeth. Maintenance is an important dental treatment for halting the progression of periodontal disease.